We are pleased to welcome a new critic, David Kidney, to our group. John David Souther isn’t quite the new kid in town anymore. Back in 1970, he joined together with Glen Frey to form a duo called Longbranch Pennywhistle. They released one album and then Frey went on to help found The Eagles. While Souther was invited to join this soon to be iconic band, he figured the addition of one more guitar would not have made much of a difference to their sound. Nonetheless, he stayed close at hand and co-wrote some of The Eagles’ most memorable songs, “Best of My Love,” “Heartache Tonight” and “New Kid in Town.” Souther also had a reasonably healthy solo career releasing a handful of albums for Asylum Records while providing hit songs for Linda Ronstadt and collaborating with James Taylor. Then he just seemed to disappear. He showed up as an actor on television in thirtysomething and in film (Postcards on the Edge) but for over twenty years he didn’t release any music. That changed in 2008 with a jazzy album called If The World Was You. 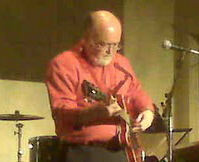 He added trumpet solos and sophisticated piano and steered clear of the country-rock guitar stuff he’d been known for. The album was a surprising hit. When I saw him that year at Toronto’s Hugh’s Room he played a couple of sunburst Gibson guitars and was a surprisingly clumsy guitarist. But he more than made up for it with his warm supple voice and winning stage presence. Souther was charming, rather than the arrogant character he’d portrayed on TV. The album was only a month old, and when he moved to the piano to play one tune, he couldn’t remember the words. He asked if anyone had bought the vinyl version at the merch table, and borrowed the lyric sheet to read the song. How endearing is that? Now he’s back with a follow-up album, Natural History. This one is a bit different. Produced by Fred Mollin, it is tour through some of his old songs (“Faithless Love,” “Prisoner in Disguise”) which are stripped-down mellow versions of the originals; bringing the old songs some distance into the jazzy format of his new work. Mollin has done similarly themed albums with Jimmy Webb (Ten Easy Pieces) and Dan Hill (Intimate) which have been highlights in their discographies. 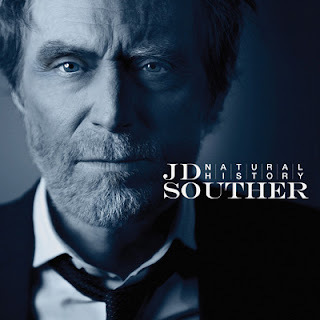 Souther had also pledged not to do a “Best of” album, and had to be convinced to revisit these songs. (A previously released best of collection called Border Town was not his idea). 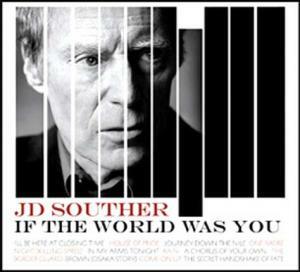 Apparently Fred Mollin made his case, because Souther tackles these songs with a renewed interest. He begins with “Go Ahead and Rain” from his 1984 album Home By Dawn, and it’s stripped to the bone, just piano, bass and that voice (and a little bit of trumpet played by Rod McGaha). On “Faithless Love,” which was a hit for Linda Ronstadt back in the mid-70s, JD strums an opening chord on one of those Gibsons, but welcomes Bryan Sutton to fingerpick the main accompaniment on high-strung guitar. The story goes that “You’re Only Lonely” was only a verse and chorus and then Souther was going to toss it, but guitarist Waddy Wachtel said, “Just sing ‘em again” and this Roy Orbison inspired tune became Souther’s biggest solo hit. The songs are all here, “The Sad Café” inspired by Carson McCuller’s novella (Souther’s a big reader), “Silver Blue” (replaces Ray Brown’s bass with that of Viktor Kraus and Sutton and Souther on acoustic guitar), “New Kid In Town” (reclaimed from The Eagles it’s now a personalized highlight in live shows) and there’s more. The songs are not quite as influenced by jazz as the last album was. While he makes strides in reinterpreting them, they retain their country-rock feel only with the addition of a sax, vibes clarinet, or trumpet. “I’ll Be Here at Closing Time” was my personal favourite on If The World Was You and I had to wonder why he would take another stab at it so soon. The song closes Natural History and proves a logical choice. It brings things full circle, up-to-date, but it also shows us that the new kid in town is here to stay. Natural History is his way of telling us that he’ll still be here waiting in the parking lot, at closing time. I didn't know that JD had ever swung through T.O.! On Jan 13th 2012 I flew 500 miles to NYC to see him at the Allen Room, with the stage overlooking Cental Park and New York City at the Lincoln Center. The show was outstanding and he played all of his classic songs, plus a few 1920's Ain't Misbehavin' and Bye Bye Blackird for the audience of 500. Got to meet him after the show which adds to my list including Gordon Lightfoot, Randy Meisner, Rick Davies and John Helliwell. Hopefully he will return to Toronto one day. Natural History is an excellent album and I found a copy of If The World Was You in Montreal at HMV and it is terrific and well worth the download if you can't find the CD. Notwithstanding all of his great songs recorded by others, I'll Be Here At Closing Time is a beautiful, melodic love song which now ranks among my favourites.